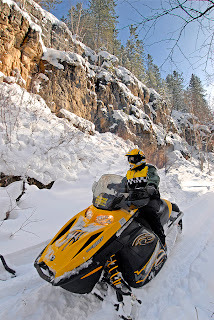 Just did a snowmobiling shoot in the Black Hills, so thought I'd write about shooting winter sports in South Dakota. Many people may not think of South Dakota as a hotspot for winter recreation, but with the highest mountains east of the Rockies and a proximity to that "cold Canadian air," we have our share. The snowmobile trails in the Black Hills have been voted many times as some of the best marked, mapped and maintained in the country. Unfortunately, global warming has had it's effect on the amount of snow we get over the last few years, just like anywhere else. Winter 2007-08 is shaping up to be a pretty decent year for snowfall, and as I write this the trails are in the best condition they have been for several years. 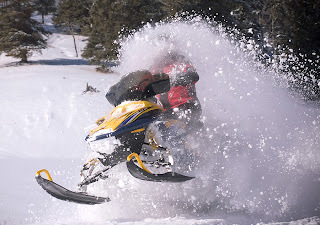 Snowmobiling is generally headquartered out of the northern Black Hills, in the Lead/Deadwood and Spearfish Canyon areas. 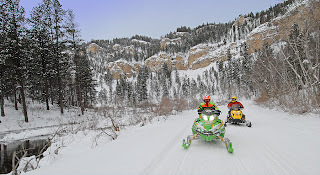 Rental sleds are available at a number of places, including Spearfish Canyon Lodge and Trailshead Lodge near the Wyoming border on U.S. Highway 85. From either of those lodges, the trail system branches out to cover hundreds of miles in beautiful deep rocky canyons and through open meadows to play in. 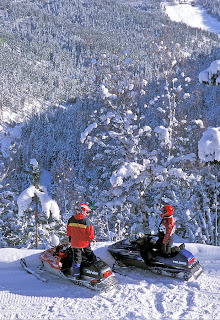 More information and maps can be found at http://www.sdgfp.info/Parks/Recreation/Snowmobiling/index.htm. I said we have the highest mountains east of the Rockies. If you extend that further, it is actually between the Rockies and the Alps. Which makes Terry Peak the highest ski resort in that same range. Just outside of the town of Lead, Terry Peak, and Deer Mountain next door, provide great skiing and winter activities photo possibilities. Deer Mountain also has a tubing hill with a tow lift. Of course you should always keep an eye out for the hazards described in a earlier skiing post. 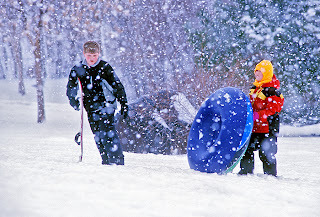 Not to be outdone, Sioux Falls on the far eastern side of the state also has a ski area - Great Bear Recreation Park. 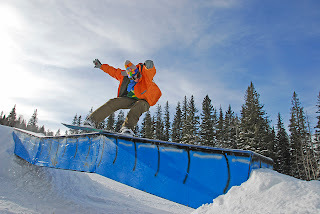 While not a mountain by any stretch of the imagination, Great Bear provides plenty of winter fun for the more urban crowd. They make sure they have plenty of halfpipes and ramps, etc. 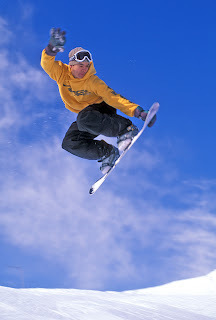 to keep the teenage snowboarders happy, which provides some great photo opportunities. 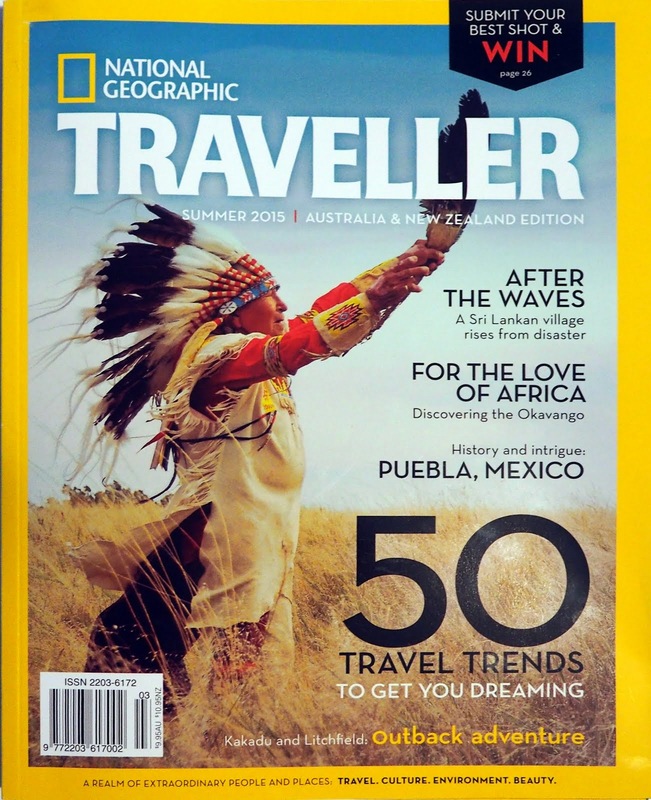 Because so much of South Dakota is a flatter topography, cross country skiing and snowshoeing are also popular diversions. Some of the more scenic areas for this are the trails around Lewis and Clark Lake west of Yankton, LaFramboise and Farm Islands near Pierre, and Sica Hollow State Park near Sisseton. The 110-mile Mickelson Trail that runs north and south through the entire Black Hills also is a great location for skiiers, snowshoers, and winter hikers. Stay warm and watch for wildlife as a bonus to your winter photography.